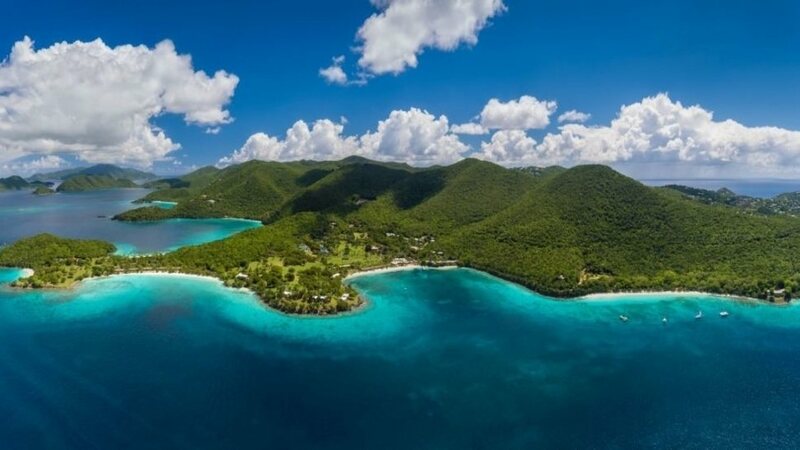 Welcome to Dedon Island, a world of barefoot luxury where blue skies, white sand, and outdoor living extend the company’s vision beyond the realm of furniture. 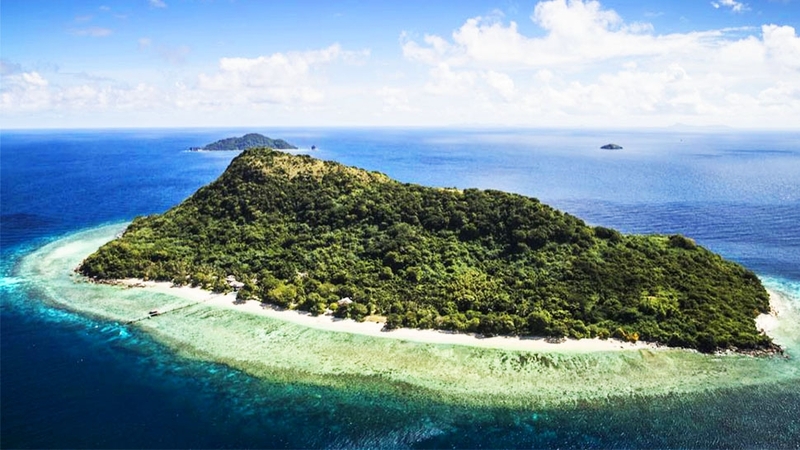 Going beyond the typical luxury experience, Dedon Island is your private retreat, your home away from home. 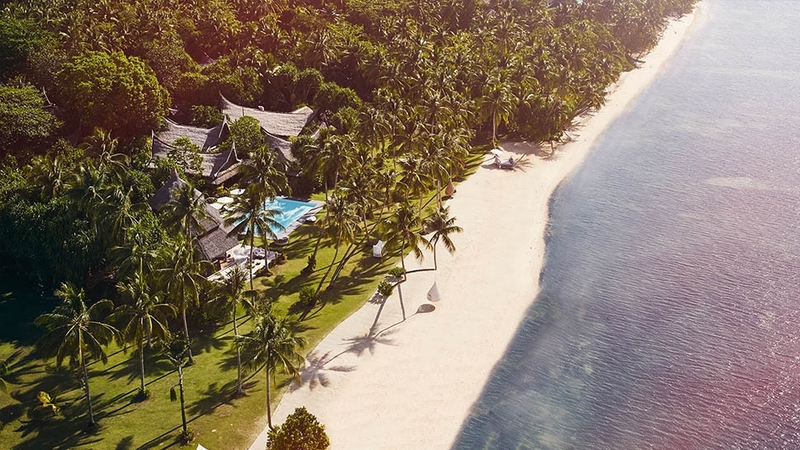 Perpetuating the Philippine tradition of hospitality and creating narratives with magical and transporting qualities, Dedon Island represents what luxury travel is today and will undoubtedly be game changing for the island’s tourism. 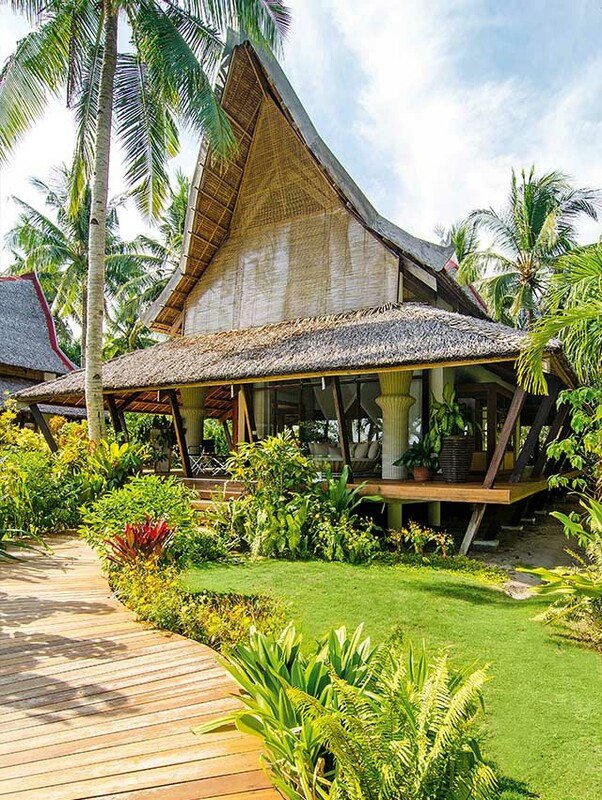 Set on four hectares on the southeastern coastline of Siargao, the resort is lush with tropical flora and is nestled in between two marine ecosystems. On the southern side lays the beach, the bay and the sea, and to the north, at the rear of the resort, is a private inlet surrounded by the continuous mangroves that line the island’s west coast. Marked by two pagodas at opposite ends of the property, one in the bay and one in the mangrove, comfort and luxury can be found at every turn. 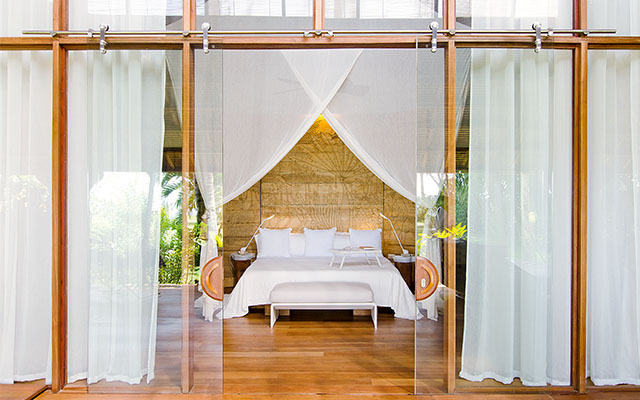 To realize its vision of an island retreat that would strike the perfect balance between luxury and authenticity, the Dedon team engaged the services of long time collaborators Jean-Marie Massaud and his architectural partner, Daniel Pouzet. With their families, Massaud and Pouzet spent two weeks on the island and from there integrated their own personal experience into the design plans. Herve’s wife, Tess Lampert, was also instrumental in the project making it a true family affair. 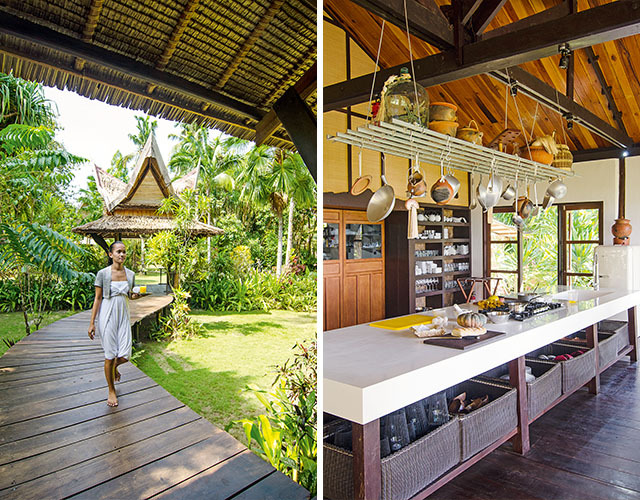 Tess worked with the designers to bring the best of local culture and a taste of “Philippine chic” to the interiors that are, as one might expect, punctuated with beautiful woven Dedon pieces. Pouzet’s wife, who is also an artist, was inspired by Siargao’s daily life and drew sceneries that would eventually become the artwork used for headrests in each of the resort’s nine villas. Craftsmen in Cebu translated the drawings and hand-carved each into a unique headboard. 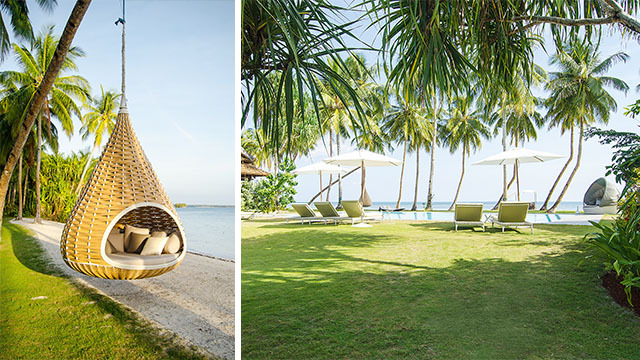 Dedon Island features great design. The island’s iconic piece, an eye-catching droplet-shaped Nestrest, was designed by Pouzet and Fred Frety. Created specifically for two slanted tree trunks left behind by Typhoon Nitang in 1984, they are bent at extraordinary angles. The design has been translated into lighting and lounging pieces and frequently make appearances throughout the grounds. Another impressive bespoke design for the resort is the bar located just off the swimming pool. It is a circular structure that shows off the handiwork of the Dedon weavers. An imposing piece of furniture, its frame was made in the factory, dismantled, shipped to the island, and then reassembled. The weavers then began their work onsite. 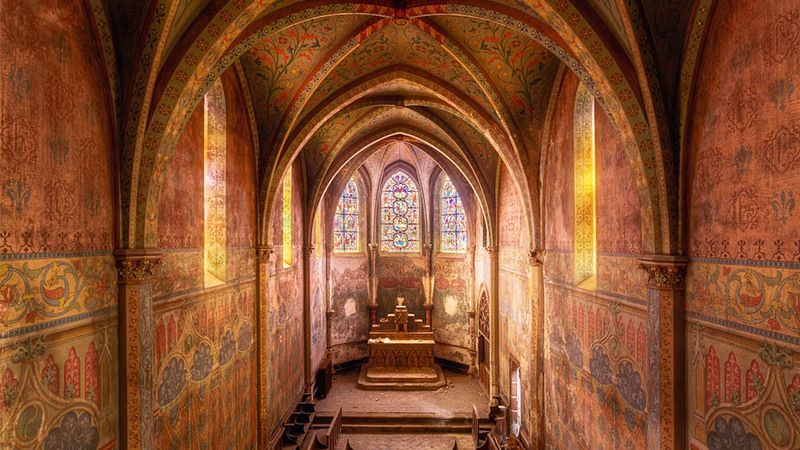 At night, this luminous structure resembles a huge lantern that lights up the area. 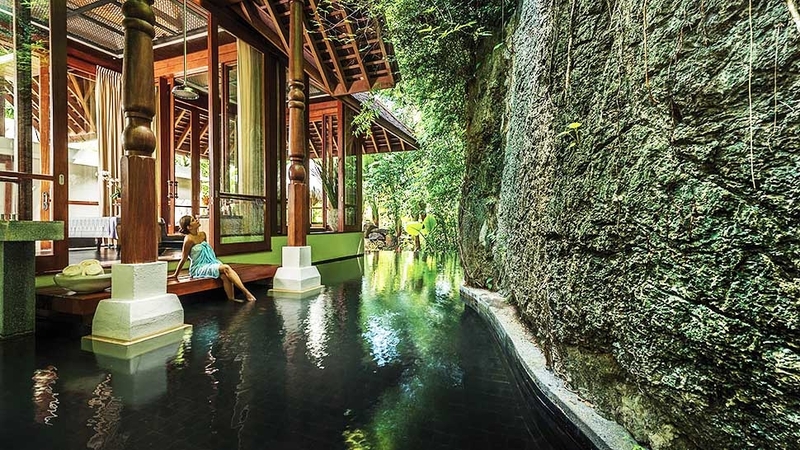 However tempting it may be to luxuriate in the spacious villas or around the resort, to experience all the island has to offer cannot be done without immersing in the local culture. 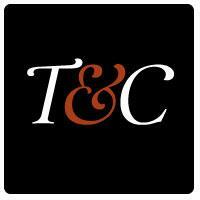 “The island is not only a three-walled enclave and a beach,” explains Lampert. “We want to take our guests out of their element, to mingle with the community, go to the market or go fishing and have our cook teach you how best to prepare the freshly caught seafood in our family-styled open kitchen. At our organic garden, kids can do the harvesting themselves. We are a big family and are always working with the concept of how family and friends would like to spend their time together and go beyond the typical luxury experience.” Picnics on the beach, islands excursions, paddle boarding, surfing lessons, even a massage in your villa are all included in the onetime inclusive tariff. That means that once you have paid your passage, there are no extra charges. The resort's excellent service includes adventures around the island. 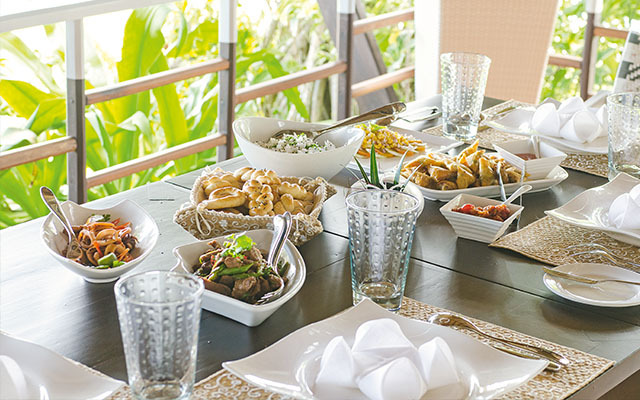 What stands out, however, beyond the beautiful backdrop, the meticulously prepared food, the high-designed comfortable surroundings, and the multitude of activities offered, is the level of hospitality that general manager Maia Israel and her team extend to all their guests. 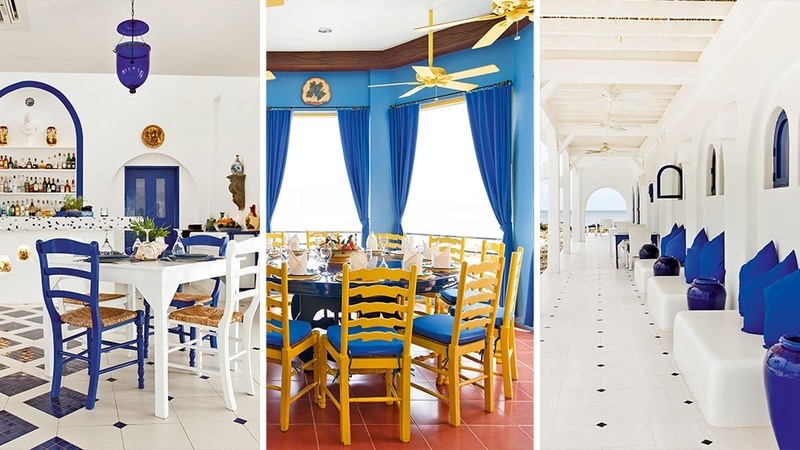 Much like the island itself, the staff is characteristically warm and sunny and their smiles and service go beyond the obvious to make your stay extra special. From the moment you land in Siargao and board the classic, cream-colored Dedon jeepney until your departure, every need and want is anticipated and provided for with care. Adventure manager Sean Hartley devises outings tailored to your liking while Nico Mordhorst, the executive chef who is as passionate about people as he is about food, will make sure that you don’t leave for an excursion without some packed munchies to tide you over until your next meal. 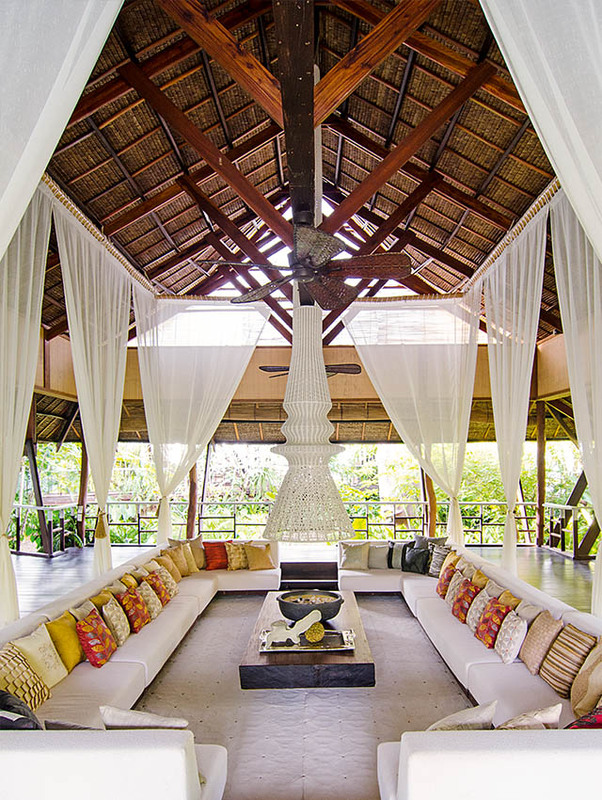 This is the first among many Dedon ventures. 1 Spend an hour or two curling up in one of the island’s Nestrests that hang from the slanted palm trees along the beach. Relax with a good book and let the gentle sway of the nest and the sound of the placid ocean waves lull you to sleep. 2 Cycle through the tiny towns of Malinao or General Luna aboard a local habal-habal or motorcycle taxi, taking in local culture and architecture. 3 Journey to the fresh market in the nearby town of Dapa with chef Nico Mordhorst to select from the finest and freshest produce on offer. 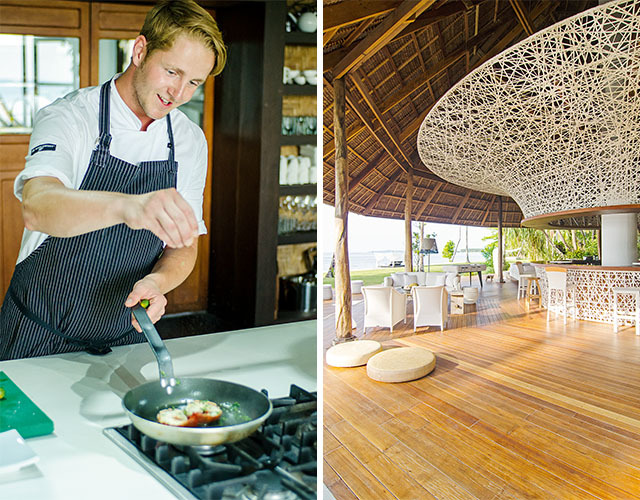 Return to the resort and enjoy your own private cooking class as Nico shares his exceptional skills and knowledge. 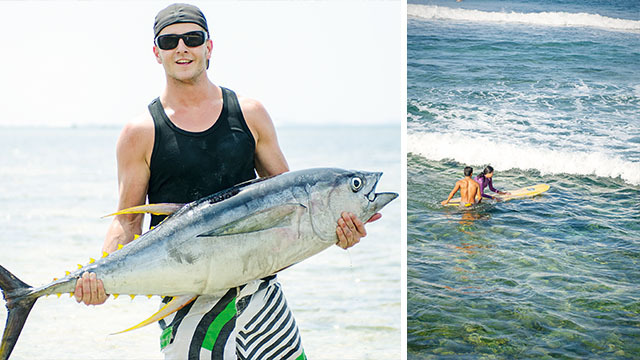 4 Learn how to surf with your private instructor at the internationally renowned Cloud 9. Since the discovery of this world-class break, surf culture has helped defined Siargao’s tourism and continues to bring surfers to the Philippines. 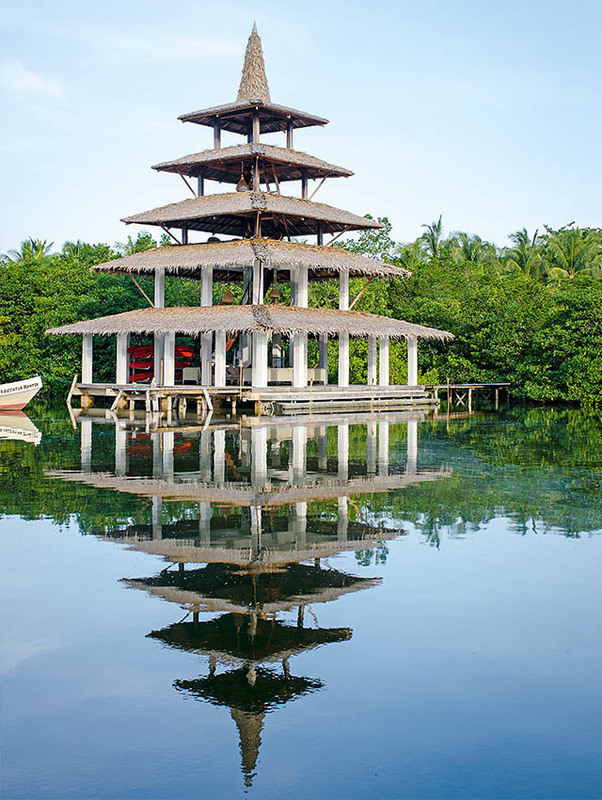 5 Paddleboard to the Sea Pagoda, an “outdoor living room” and a signature landmark of the resort. 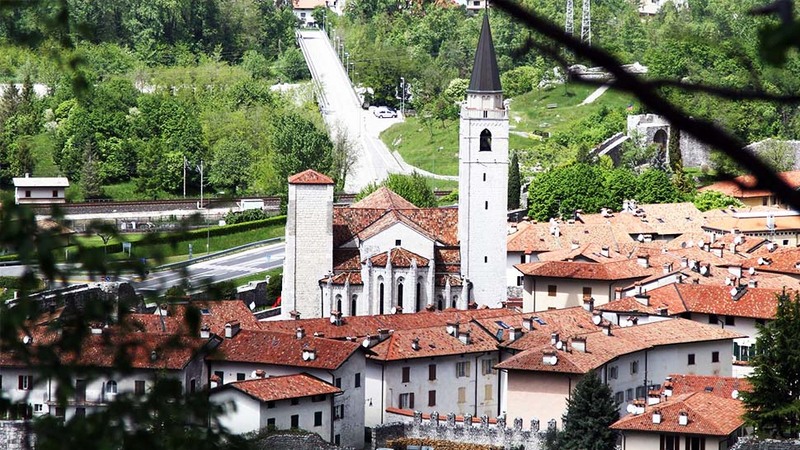 Approximately 500 meters away from the resort’s beachfront, it is the perfect brief excursion for visitors of all ages. 6 Feel like a kid again and bounce around on the children’s trampoline encased in lattice domes designed specifically for Dedon Island. 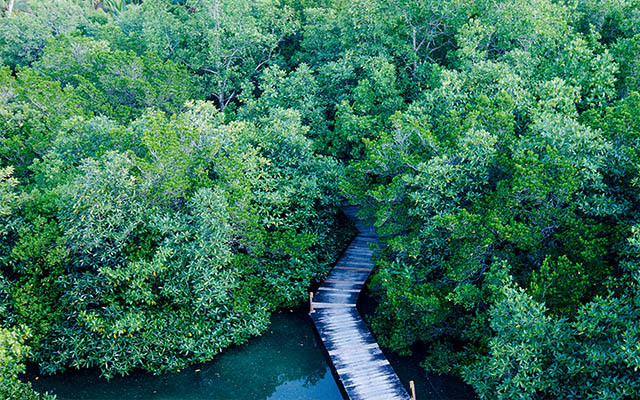 7 Explore Siargao’s outlying islands and enjoy a picnic lunch at nearby Guyam, Pansukian, or Daku. For a full-day affair, head to Bucas Grande Island and explore the Sohoton coves. With your experienced guide, swim under the rock face to surface in subterranean caves. 8 Enjoy early evening cocktails in the Mangrove Pagoda, the perfect vantage point to overlook the saltwater channel lined with a mangrove forest. 9 Feast on an early evening barbecue along the beachfront. Be sure to ask the chef to prepare his special seafood kinilaw and baked banana and chocolate for dessert. 10 Have a relaxing and invigorating massage in the massage pavilion or in the privacy of your own villa.